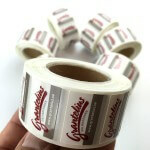 Custom printed labels on rolls or sheets. 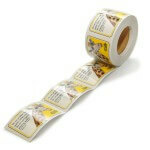 We have several different materials suitable for delivery on a roll. High quality vinyl (white), transparent vinyl, mirror / chrome, and brushed aluminum. 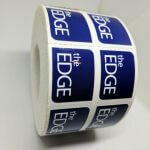 We can also offer variable printing and larger orders with a short delivery time. 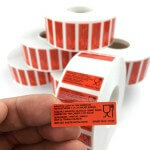 Possible with various types of adhesives, various laminates, and with perforations between each label. On sheet	11.8" x 7.9"
2" x 1" 2" x 2" 3" x 2" 3" x 3" 4" x 3" 4" x 4" 5" x 2" 5" x 3" 8" x 4"